The whole family will have a great day out at Blenheim Palace! You'll be amazed by the majesty of the Palace, with its exquisite carvings by Grinling Gibbons, delighted by the interior filled with treasures and intrigued by the apartments devoted to Sir Winston Churchill. 'The Untold Story' (upstairs in the Palace) tells the stories of the Palace's 300 year long history - for this section you will be guided by the ghost of Grace Ridley, the 1st Duchess' favourite maid! 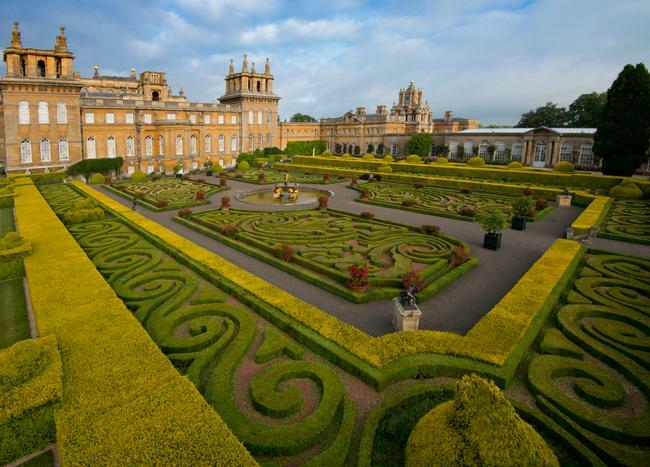 The Estate has formal gardens in a variety of styles, an exciting adventure play area for the kids and even a narrow-gauge railway running from the Palace to the Pleasure Gardens. You can even visit the tree in the Park which featured in a Harry Potter movie! The palace was built between 1705 and 1722. 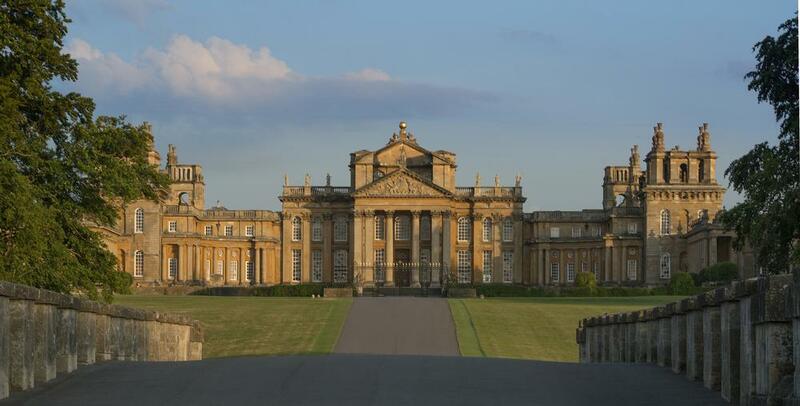 The architect chosen to complete this task was Sir John Vanbrugh and his clerk of works Hawksmoor, who had already proved their ability with the masterly designs for Greenwich Hospital and Castle Howard. Set in glorious parkland, Blenheim is exciting to look at in all seasons and is the supreme example of English Baroque architecture. 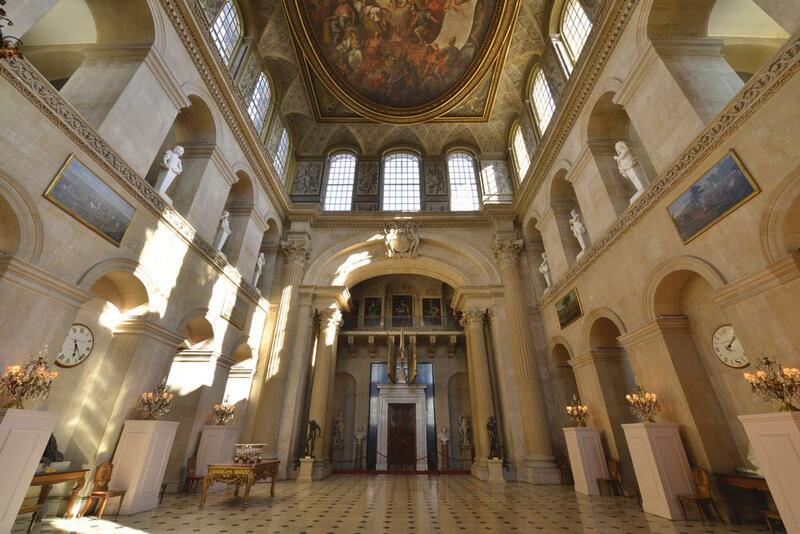 The Great Hall is chiefly remarkable for its proportions 67 feet or 20 metres high. 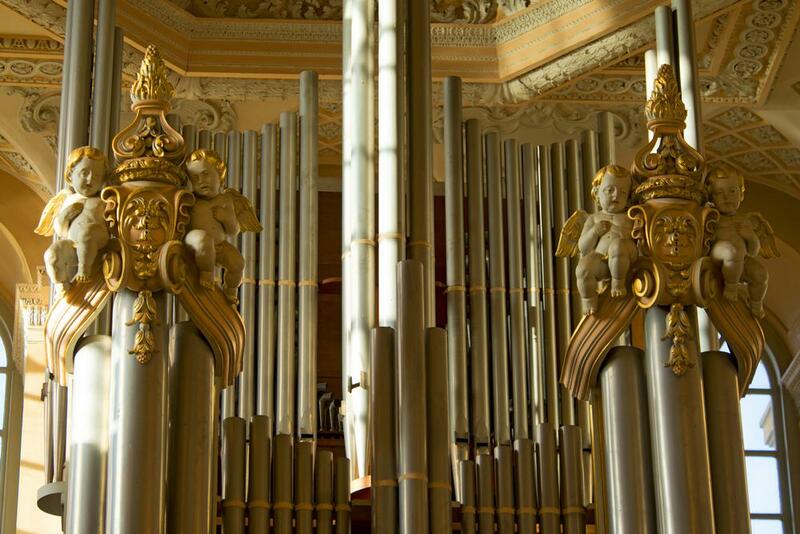 The stone enrichments were carved by Grinling Gibbons and portray the arms of Queen Anne. The hall ceiling, painted in 1716 by Sir James Thornhill, shows Marlborough victorious, with the battle order at Blenheim spread for view. 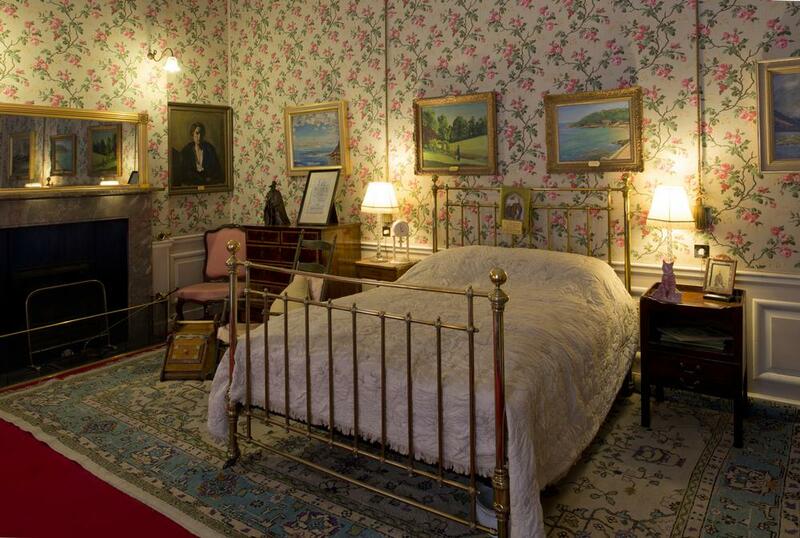 West of the Great Hall lies the birth room of Sir Winston Churchill, grandson of the 8th Duke. You will enjoy the variety of interesting exhibits in this room, from Churchill's lively letters to curls cut from his head when he was five years old. The Green Drawing Room and the two rooms beyond it all have their original ceilings, which were designed by Nicholas Hawksmoor, Vanbrugh's collaborator. Many fine family portraits painted by Keller, Romney, Reynolds, Sargent and Vandyck line the sumptuous damask covered walls. In the Green Writing Room hangs the most famous of all the tapestries, showing Marlborough as he accepts Marshall Tallard's surrender at the battle of Blenheim. In the Saloon, used as the state dining room, the magnificent frescoes and ceiling were painted by Louis Laguerre, who included a caricature of himself above his signature, neighboured by Dean Jones, Marlborough's chaplain. The table decorated with silver gilt, is laid with a Minton service, just part of the collection of rare porcelain on view throughout the Palace. Three apartments known as the First, Second and Third State Rooms intercommunicate between the Saloon and the Long Library. 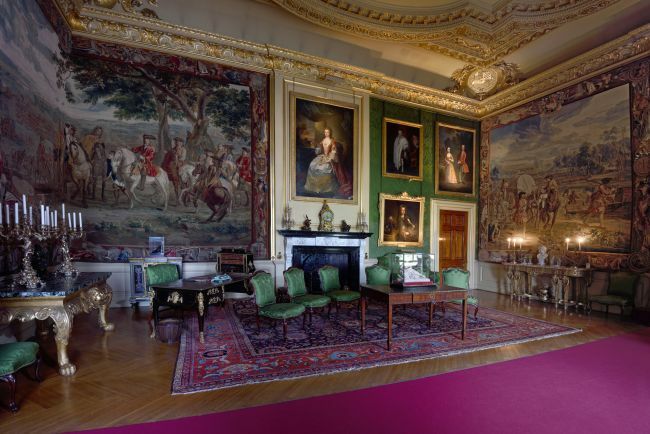 The walls of all three rooms are hung with tapestries of Marlborough's campaigns, commissioned by himself of the designer de Hondt and the Brussels weaver, Judocus de Vos. The realistic fidelity in every detail and the artistic beauty of these tapestries commands admiration. 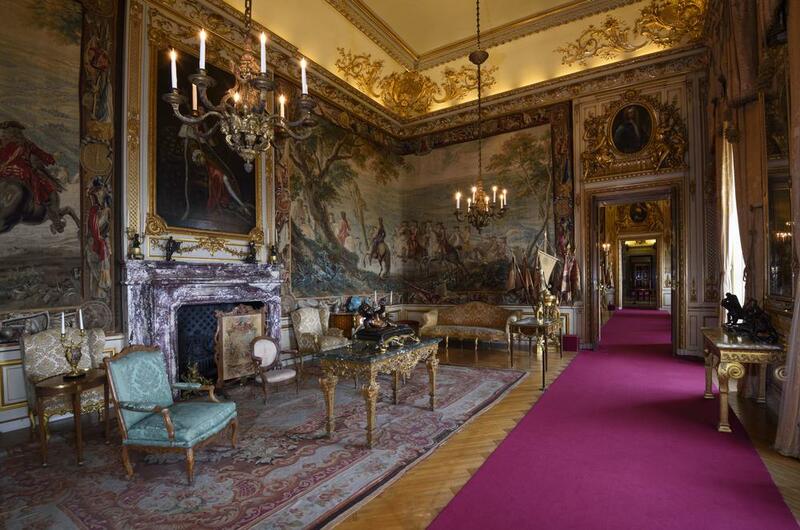 Outstanding bronzes by Coysevox, Paul de Lamerie and Fuchs adorn the elegant furniture of the State Rooms. In the Long Library the extraordinarily fine stucco decoration of the ceiling, including the two false domes, is by Isaac Mansfield. 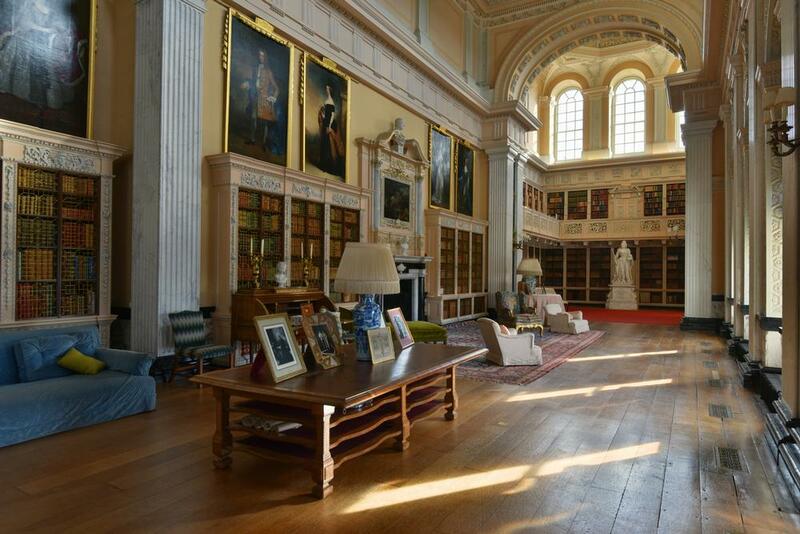 Designed originally by Vanbrugh as a picture gallery, this room now is home to the library, largely collected by the 9th Duke. 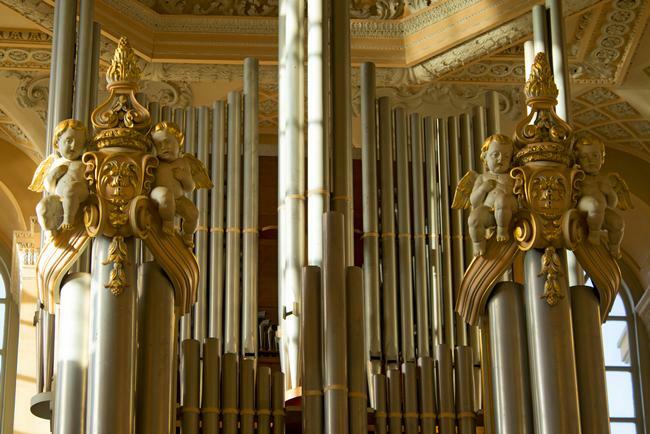 The Willis organ at the north end was installed by the 8th Duke in 1891. Coronation robes, liveries, uniforms and the coronets of the present Duke and Duchess are displayed in the central bay, together with a cap worn by Queen Anne. 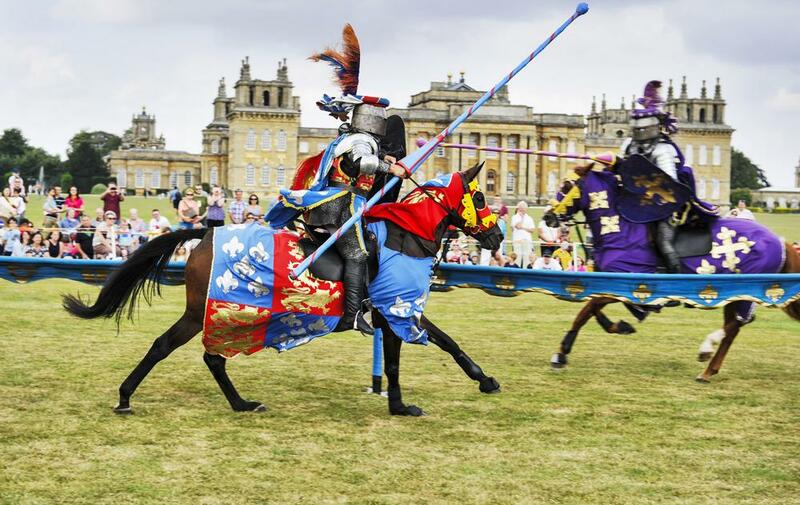 The state-of the-art visitor experience upstairs in the heart of the Palace called 'Blenheim Palace: The Untold Story' show dramatic moments from the last 300 years of history at Blenheim Palace. These stories are brought to life through animatronic figures and innovative film and projection technology, seen through the eyes of the servants. 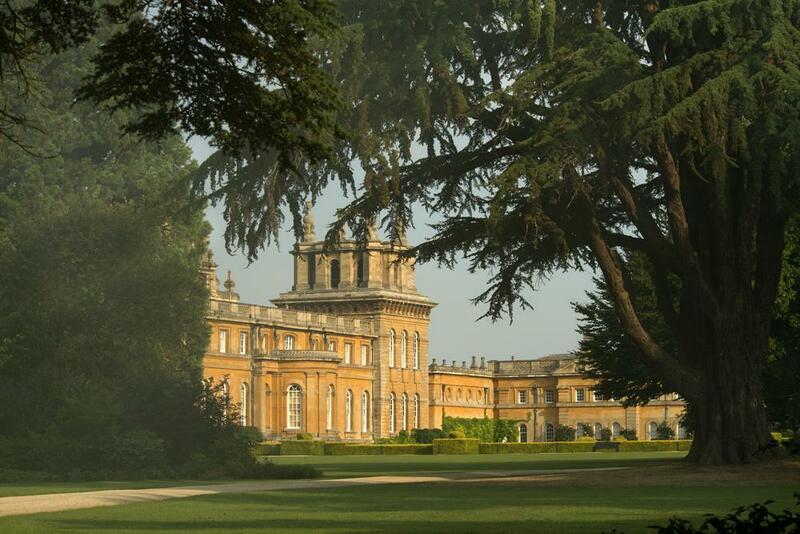 The Park and Gardens at Blenheim provide a majestic formal setting for the Palace. 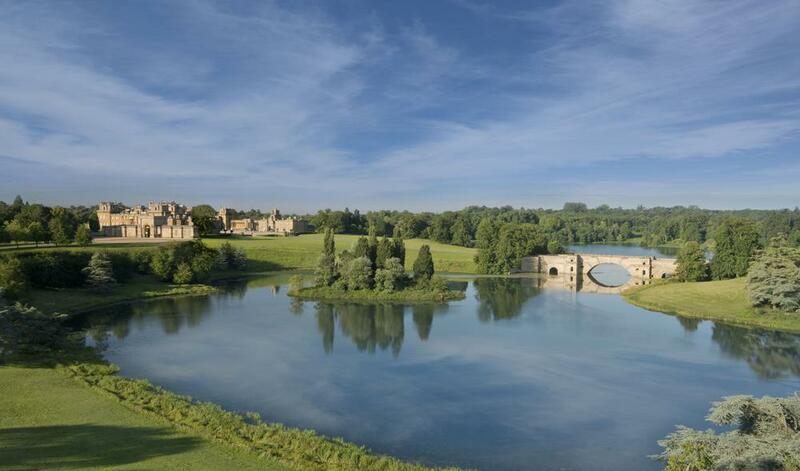 The original plans by Vanbrugh and the 1st Duke were altered by Capability Brown in the 1760s, who landscaped the Park, dug the 150 acre lake, built the cascades and demolished many of the formal French gardens. 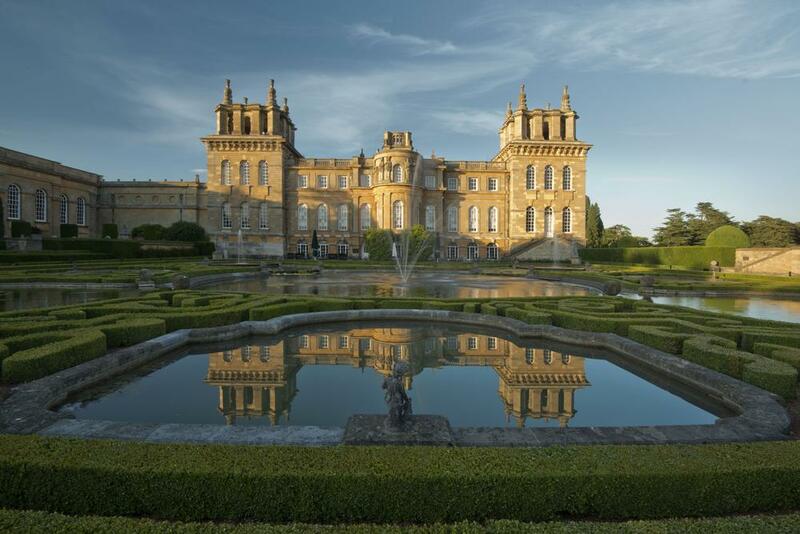 This was continued by the French landscape-architect Achille Duchene and succeeding generations of the family have taken a keen interest in their evolvement. 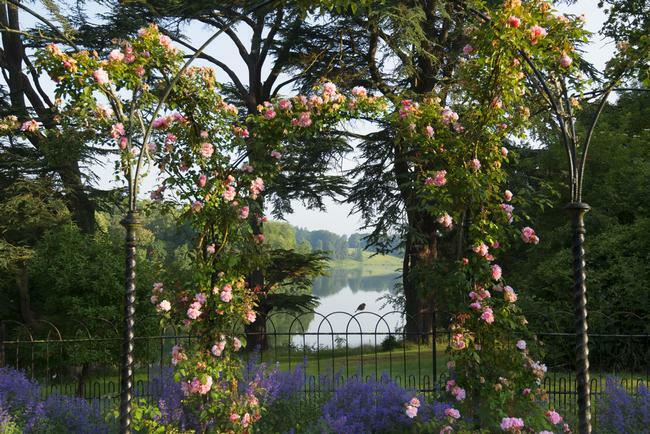 Today you can admire the formality of the Italian Garden and the Water Terraces, take a relaxing stroll through The Arboretum where Winston Churchill proposed to Clementine Hozier, who was to become Baroness Churchill. 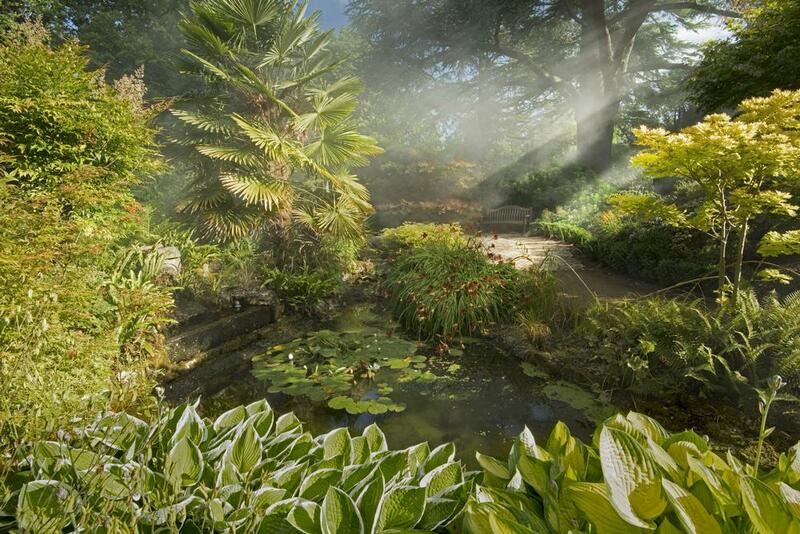 The garden was created by the 10th Duke and had grown wild. It has been recreated with many of the original features and plants to provide an oasis of calm with mature trees and water features. Rare trees and shrubs abound and in spring the garden is particularly attractive, when the blossom is out and the grassy banks are covered in daffodils and bluebells. In summer the rose garden is a delight arched with hoops of delicate pink roses. The Grand Cascade, designed by Capability Brown may not be the highest falls in England, but few can be more picturesque. The miniature train links the Palace with the Pleasure Gardens which used to be the old kitchen gardens. In this child orientated area you can visit the Butterfly House and see exotic Butterflies in free flight (not in winter); play giant chess or draughts, use the putting greens or even go wild in the long adventure playground. 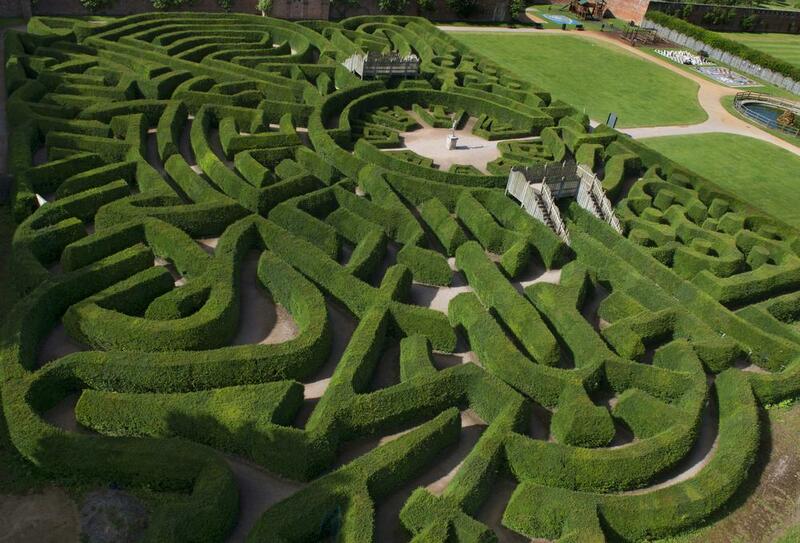 Also in the Pleasure Gardens you'll find the Marlborough Maze. This is the world's second largest symbolic hedge maze, designed to reflect the history and architecture of the palace. Covering just over an acre, there are two high bridges, which provide perfect vantage points. 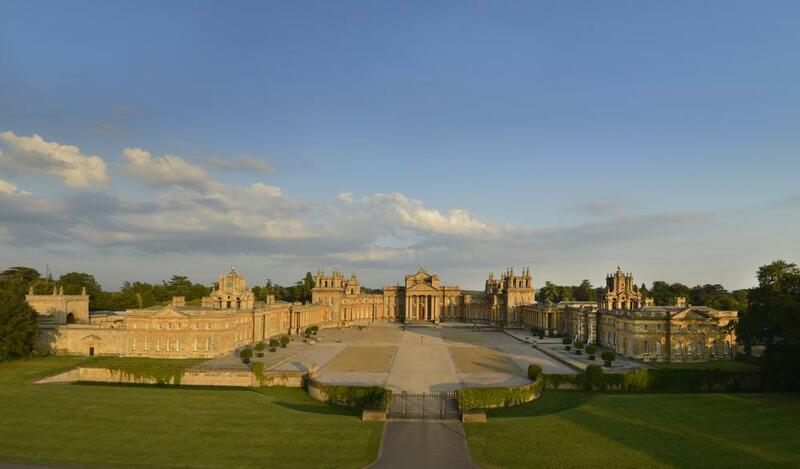 Did you know that some of the scenes in Harry Potter and The Order of the Phoenix were filmed at Blenheim Palace? One of the huge trees in the park, now called the "Harry Potter Tree" was centre stage in part of the Order of the Phoenix. 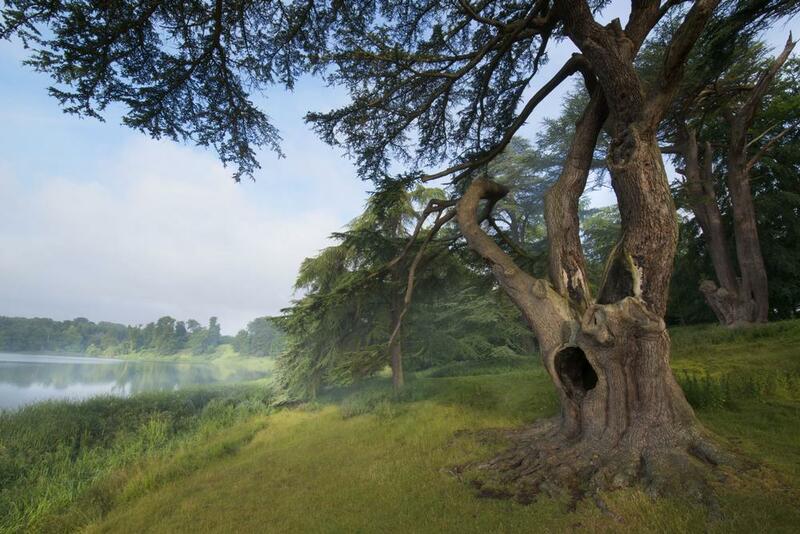 You can find the tree next to the lake, near to Rosamund's Well. Blenheim Palace plays host to a whole range of events throughout the year, such as music recitals, jousting tournaments, and the Blenheim Palace Festival of Transport. 10.30am - 5.30pm, last admission 4.45pm. 10.30am - 4.30pm, last admission 3.45pm. 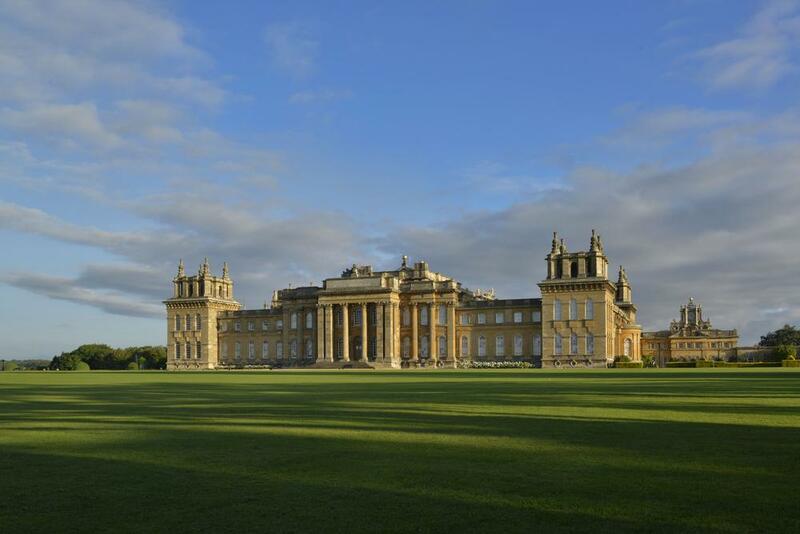 This area will remain open until 10.00pm during "Christmas at Blenheim". It will then open from 09.30 – 17.00 from 2nd January - 9th February 2018. 10.00am - 6.00pm, last admission 5.30pm. From 30th October 2017 this area will be open daily from 10.30am – 3.30pm, last admission 3.00pm. The Butterfly House will close for the winter from 30th October-10th February but the Marlborough Maze and Lavender Garden will remain open daily. The train will run daily until dusk until 30th October, then on weekends only except for school holidays and during Living Crafts for Christmas. 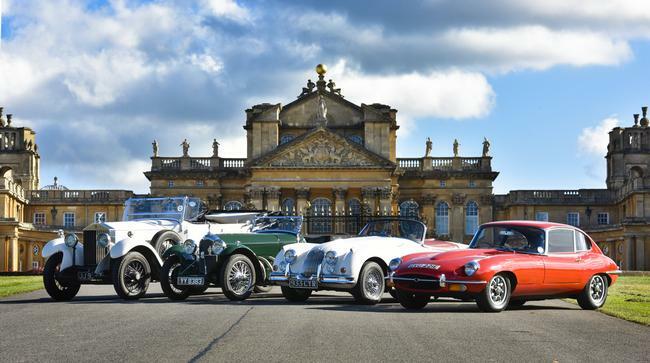 Amazing Annual Pass Offer:- Convert your Palace ticket to an annual pass for FREE, if you donate the cost of your entry to the Blenheim Palace Heritage Foundation Charity. Frequent services from Paddington to Oxford. Frequent services from London Victoria to Oxford. No.S3 from Oxford bus station every 30 minutes.